Serving: AZ – Arizona and beyond. George Franzen brings a unique blend of Magic and Comedy that has been entertaining audiences over 30 years! George’s children birthday shows are a perfect gift – with each performance being individually tailored around the birthday child and his/her special day. 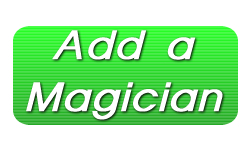 Offering interactive magic and entertainment that brightens faces and leaves event attendees screaming for more, contact George Franzen today and make your next special event occasion one to remember!